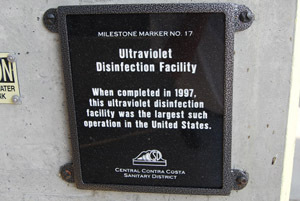 Since 1981, Ironbrook UV Corp has earned a reputation for service and excellence in the design and installation of ultraviolet disinfection systems within municipal marketplace. With more then 350 customers worldwide, our system is an attractive solution because it is more affordable, energy efficient, easy to maintain and expandable. We are the original Designers and Engineers of the Fisher & Porter Ultraviolet Disinfection System that originated from the Arlat Design. Using low pressure lamp technology, we have continuously improved and evolved our design from magnetic ballasts to modern electronic ballasts. Supporting 355 F&P Ultraviolet Disinfection sites around the world, we recognize that our customers' have unique needs that can change on a daily basis. Whether the site ranges from 4 lamps treating 100,000 USGPD to 11,520 lamps treating 265 MUSGPD, we make it our priority to ship parts and respond to service calls in a timely manner. As permit limits change, we have supported customer's site expansions by installing as few as 160 lamps to as many as 2500 lamps. We have made constant improvements to our product offering; such as new robust ballasts, long life lamps, simplified control systems but our greatest achievement is the fact we are established. Yes, what we offer is field proven technology in 355 sites operating some of these sites for over a quarter century. Why would sites which have operated for ten years with 7500 lamps decided 2 years ago to expand by another 2500 lamps to 10,000 lamps. Their decision was simple, the technology works and they had the first hand knowledge and confidence that their product was going to be supported long after the warranty period. 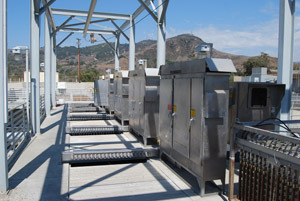 WHY CHOOSE OUR ULTRAVIOLET DISINFECTION SYSTEM? It works! You can simply drive an hour or two from your plant to one of our systems that were installed in the 80s or 90s and see for yourself that it is still operational. That the product is supported and that parts and service are readily available. We have made a commitment to our customers, no matter how old or how large their Ultraviolet Disinfection System is; we continue to support them. The technology works, it is simple, efficient and easy to use.